2. 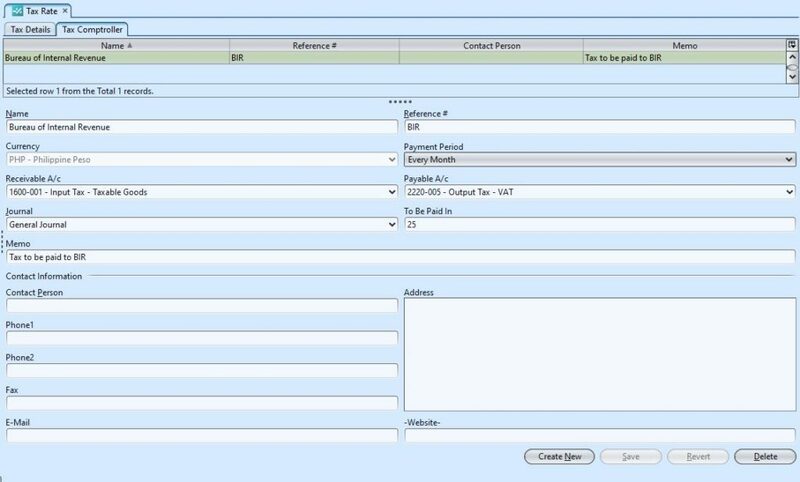 Fill up the tax’s information*. Tick “Is Withholding Tax?” checkbox if this tax is a withholding tax type. This tax rate will then be available for selection in the “Withholding Tax” list for tax combination. If this tax is a combination tax with withholding tax, select a tax from the “Withholding Tax” list. When this tax rate is used in transaction, the selected withholding tax will be applied as well. 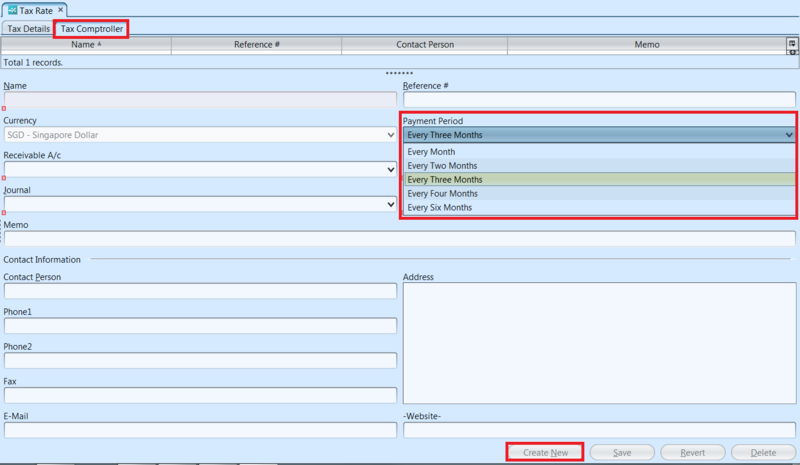 Tick “Tax Paid By C & F Agent” checkbox if this tax is paid by the carriage & forwarding agent*. This tax cannot be combined with “Withholding Tax” type or combination tax type listed above. 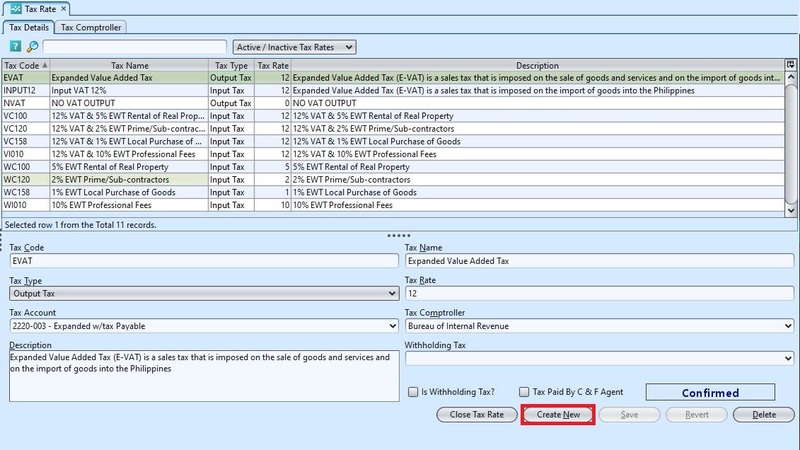 *Note: Ticking the “Tax Paid By C & F Agent” checkbox indicates that this tax is being paid by the Clearing & Forwarding agent, thus the tax for this transaction will not be added on top of the transaction document total value. 2. Click on “Delete” button at the bottom right side of screen. 3. Click on “Yes” button on the pop-up window to confirm tax comptroller deletion.